Gbagyichild Entertainment, producers of Taruwa Arts and Culture Festival and award winning online art and opinion magazine, The Naked Convos have come together to bring you a unique stage production. 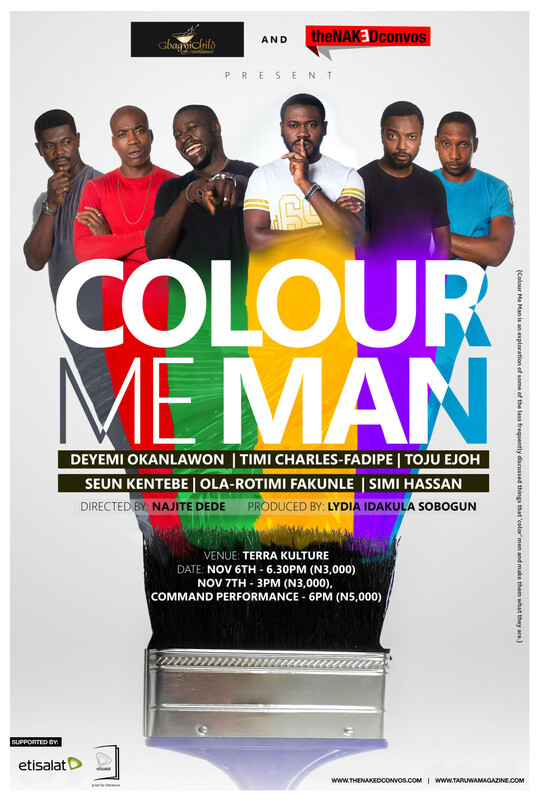 Colour Me Man is an exploration of some of the less frequently discussed things that “colour” men and make them what they are. It is very loosely inspired by the play For Colored Girls Who Have Considered Suicide When the Rainbow Is Enuf by Ntozake Shange and it is based on a series of monologues written by young Nigerian male bloggers who take on colors that represent different traits that may cause a man to be ‘colored’ a particular way by society. 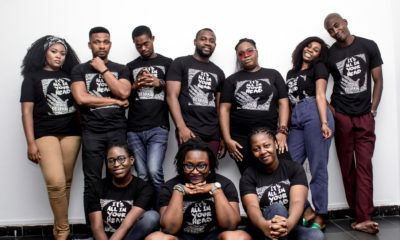 The play, which was adapted for stage by award-winning writers, Abiodun Kassim, Ikenna Jude Okpala, Oluwole Talabi and Pemi Agude, stars Deyemi Okanlawon, Timi Charles-Fadipe, Toju Ejoh, Seun Kentebe, Ola-Rotimi Fakunle and Simi Hassan. 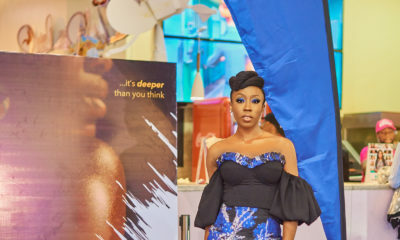 It is directed by Najite Dede and produced by Lydia Idakula Sobogun. Yaaaaay. Tula keeps doing it. I have to take man to see this. Im sure he’ll point out one or two things for me to learn. I cant wait. Please we need more of this in Abuja.